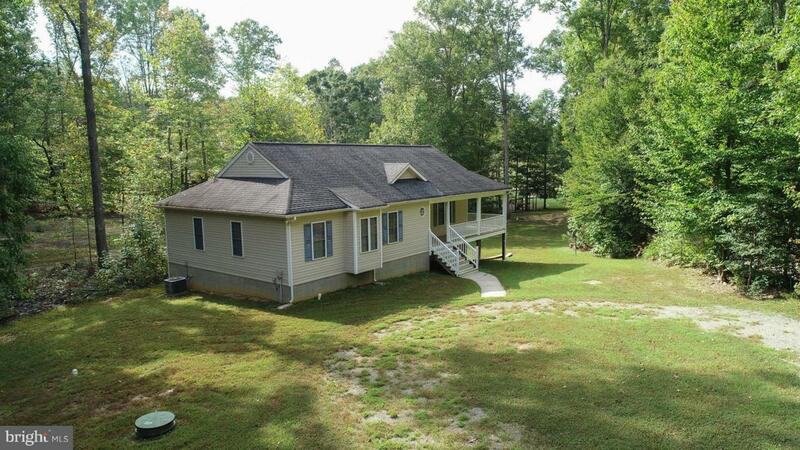 14 Oak Road, BUMPASS, VA 23024 (#1009917616) :: Eng Garcia Grant & Co. REDUCED TURN KEY Water Front Home! All Furnishings & Pontoon Boat Convey! Investors Delight! Lake Anna Low Maintenance Waterfront Home & Dock located on the Private Side! Open Floor Plan, 3 BR, 3 Full Baths, Hardwood, Corian Counters. Expand this lovely getaway to approx 3,000 sqft easily in unfinished Basement- Full bath already done! 65' of Bulk headed WF - Dock- two slips, 1 w/boat lift & 2 jet ski lifts. Just Like NEW & Well Worth the trip! Hurry!